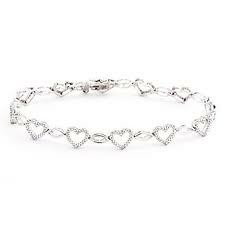 This isn't the exact bracelet however they have pretty much similarity to it. I was longing to get one though my partner is not the jewelry kind of person. He seldom buy one nevertheless he broke it last December. It might be a great idea of not giving your partner wish list in order for them to randomly buy things they thought women would love. I like it, it is not that expensive but I love it . It was the first jewelry I have from him aside from our wedding ring. Now I don't need to worry about getting one pretty soon. This is the start and hopefully he will going to continue it. I could not take my mind off my son's incoming birthday. I was thinking ahead of time but I want it that way. I want to create a nice banner something that has Infletters letters. It is so cute and you can get it cheaper any sizes you want. If you want to get it for some occasion you will have in the future I'm sure it will be pretty awesome. nice one sis, parang tulad ng sa zales. wow ate, ang ganda ng new bracelet mo, OO pla chaos will celebrate his 1st birthday, Wow ang bilis talaga ng panahon. Happy new year te.